Paddle Round the Pier ! Aloha! 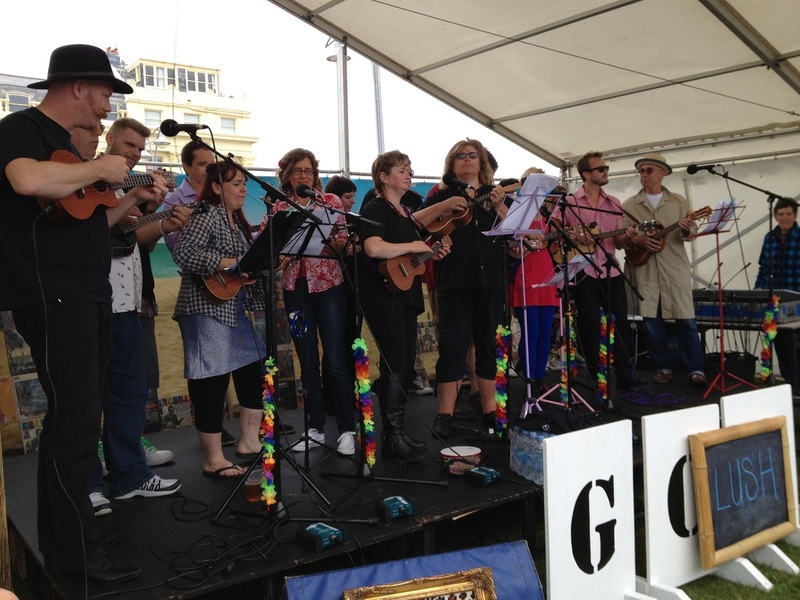 The UCANUKULELE crew ran the Paddle Uke Stage from 2011-2016 Every year was more ukulicious than the next. 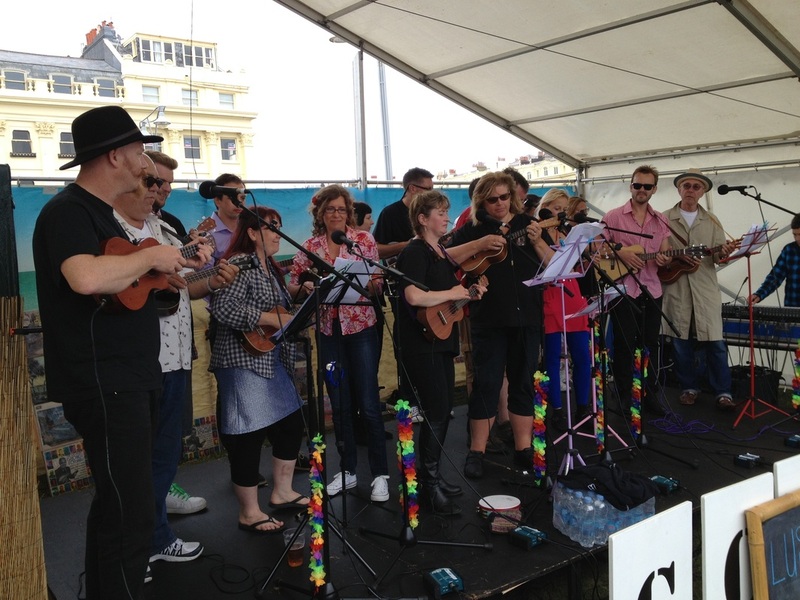 We really enjoyed producing a weekend of full-on ukulele love. 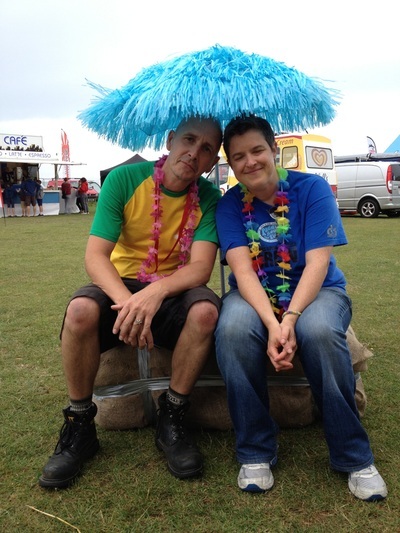 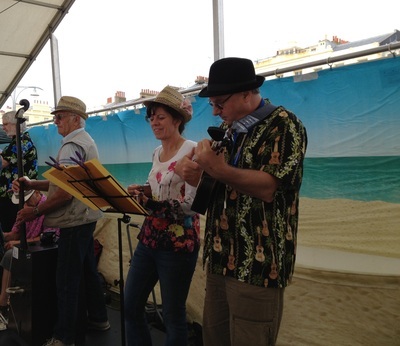 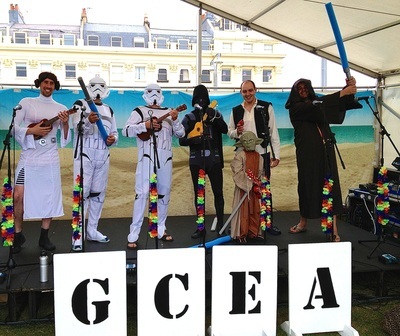 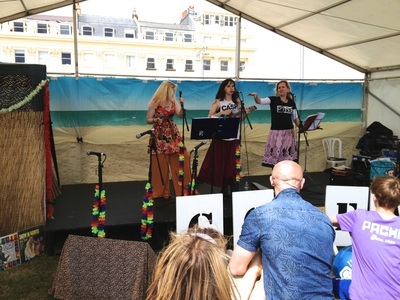 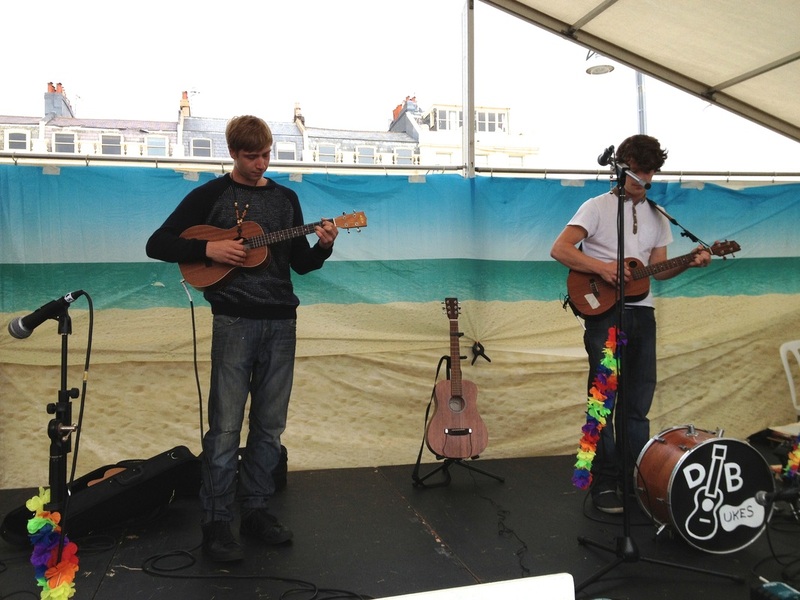 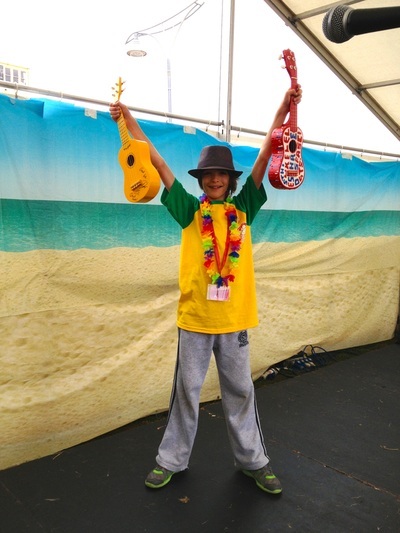 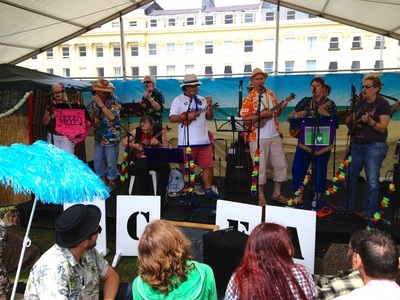 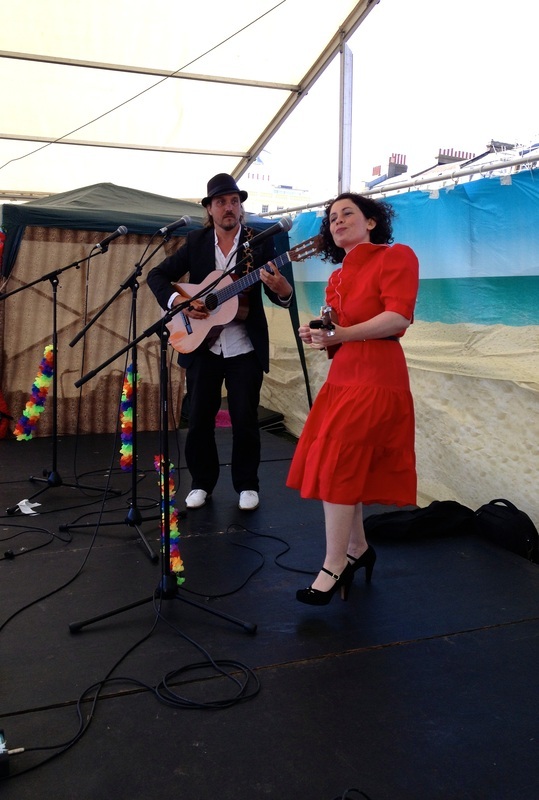 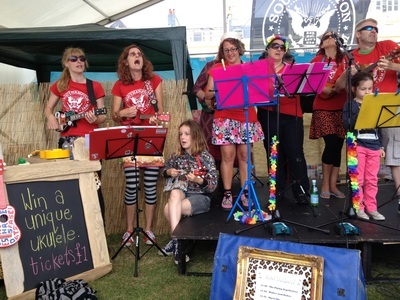 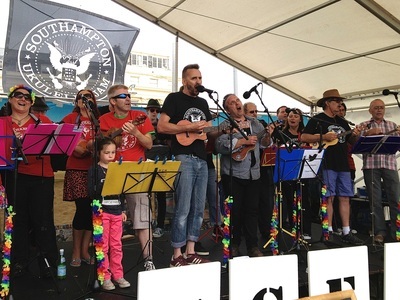 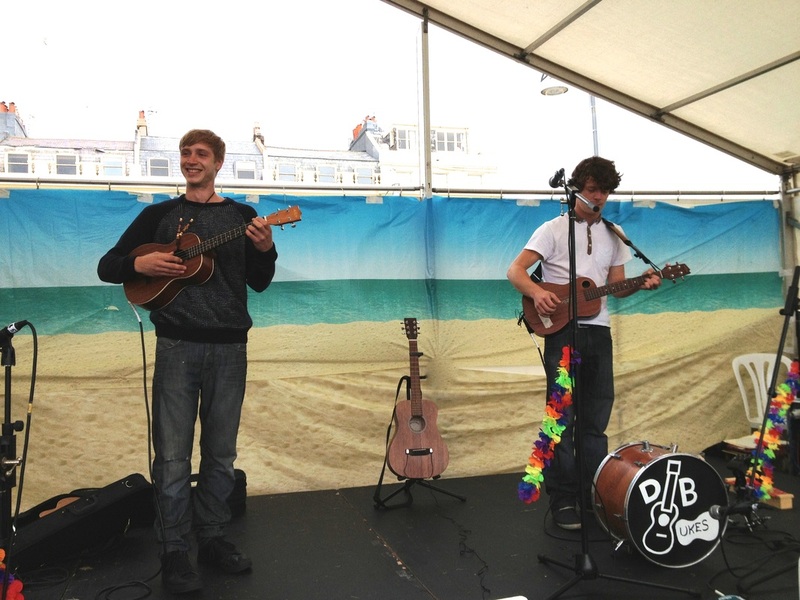 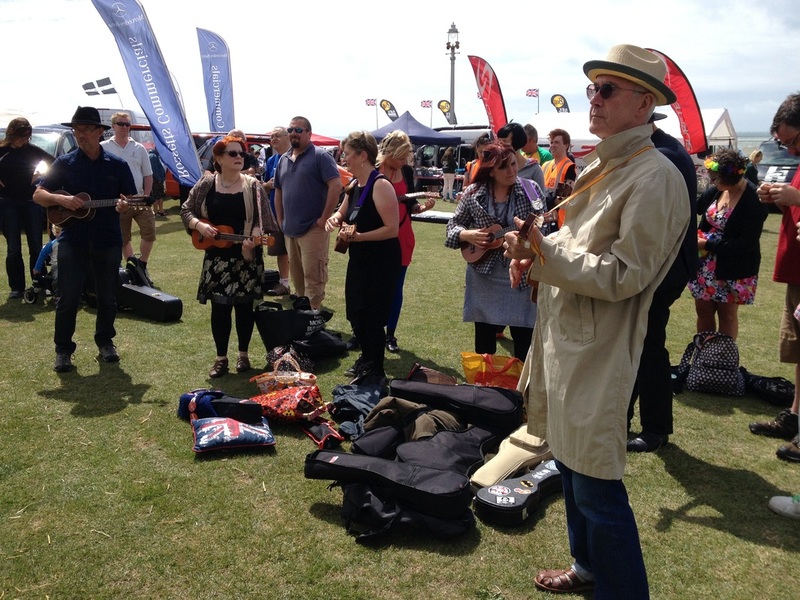 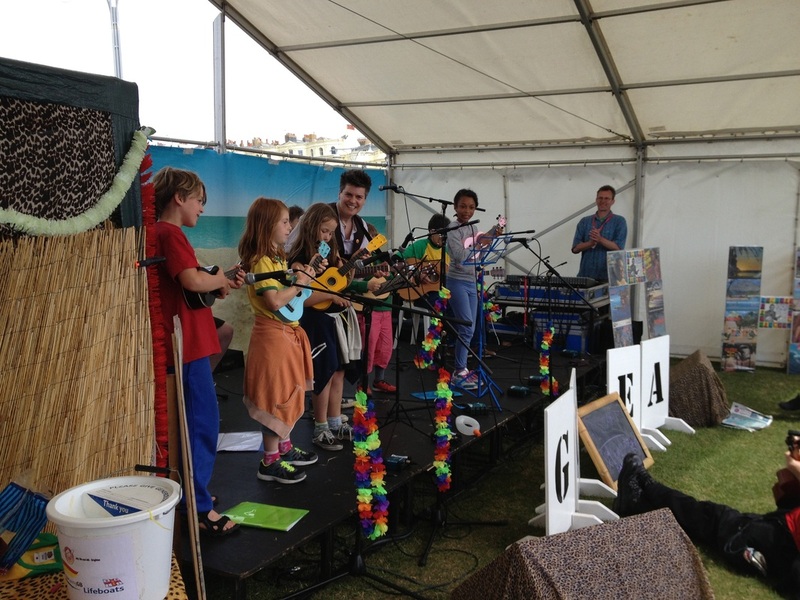 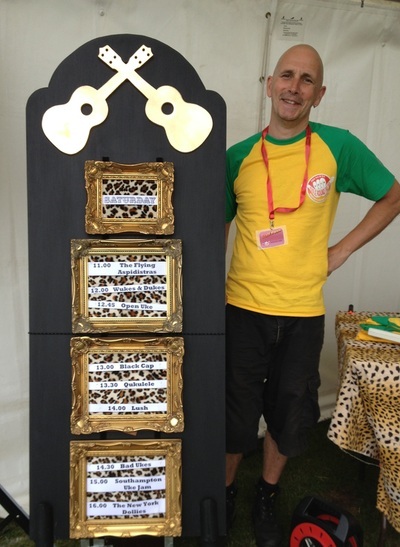 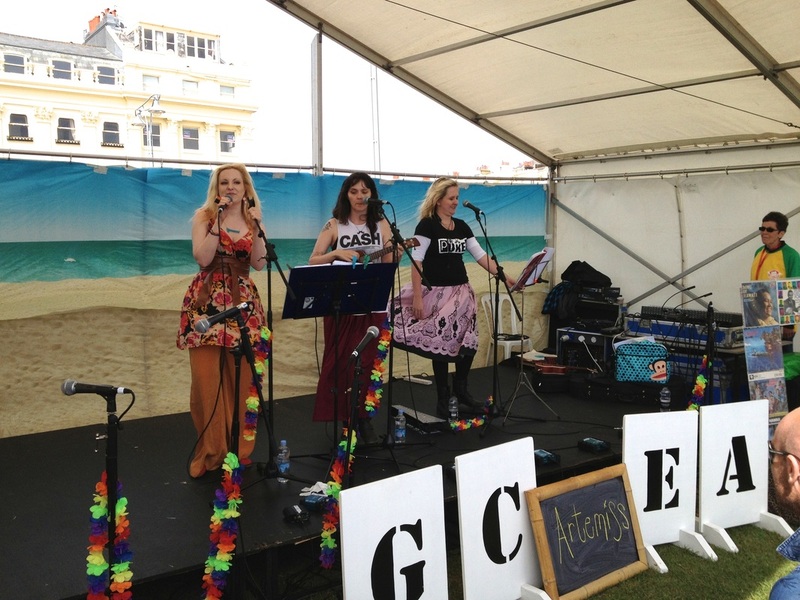 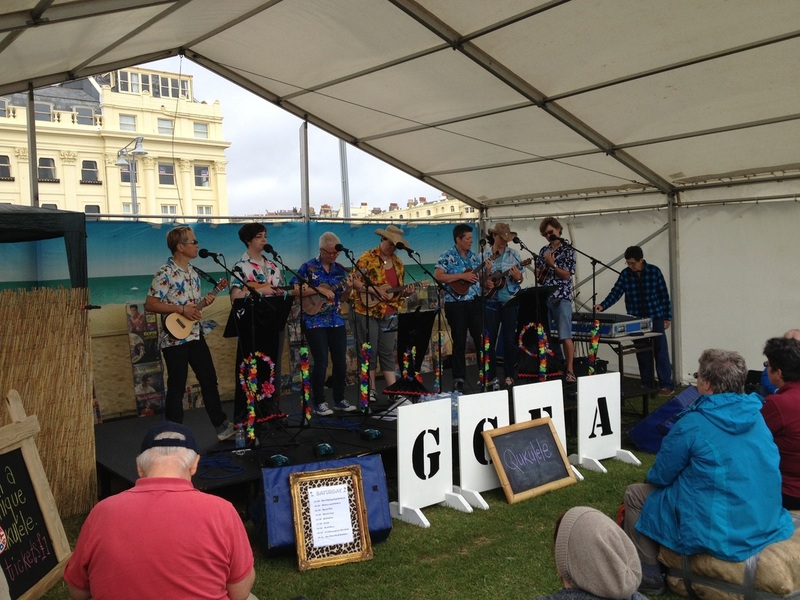 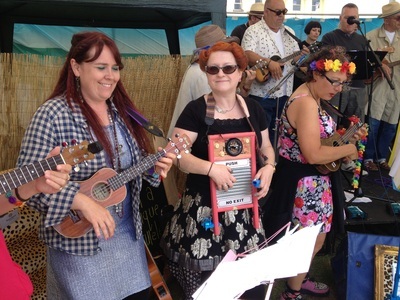 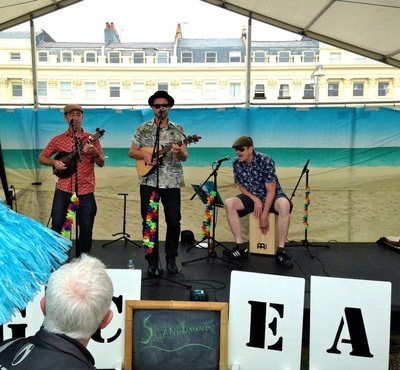 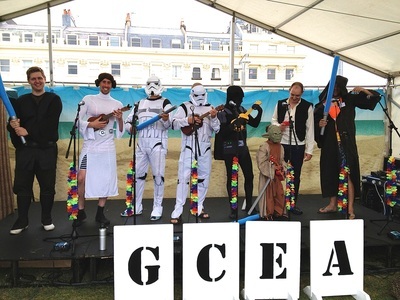 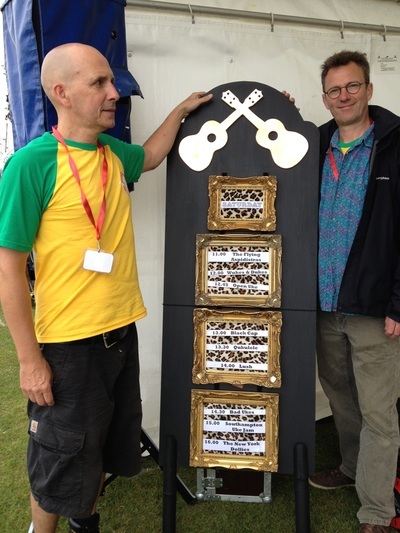 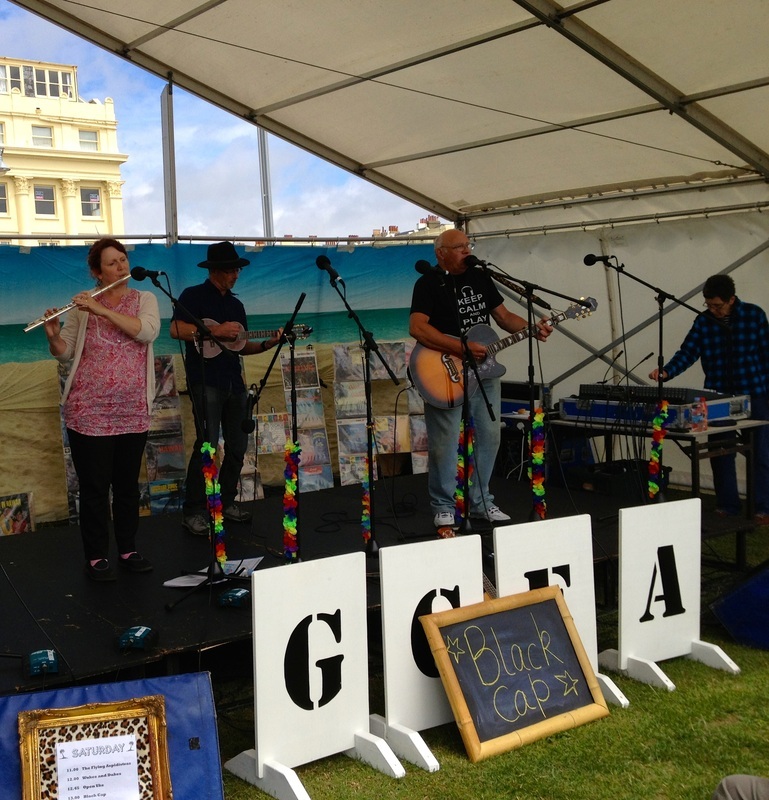 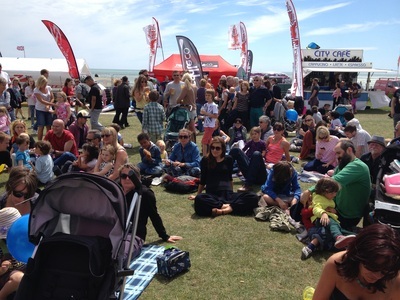 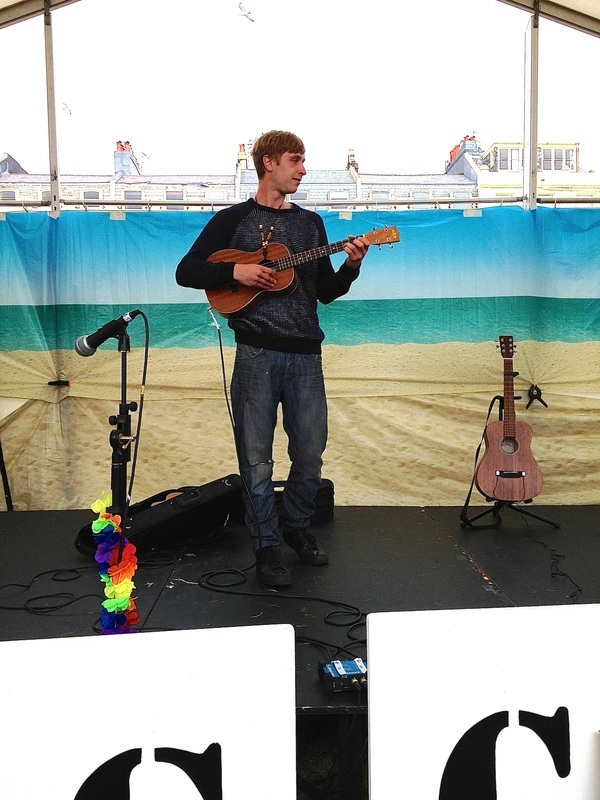 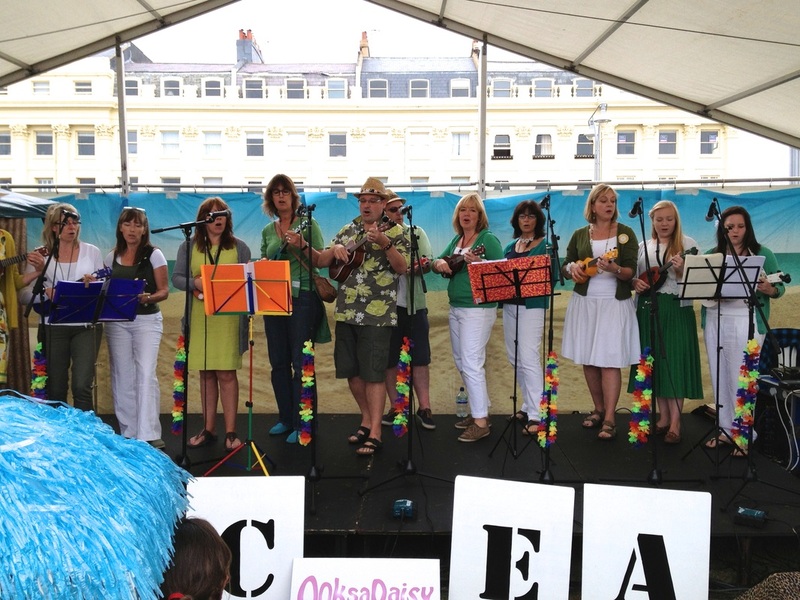 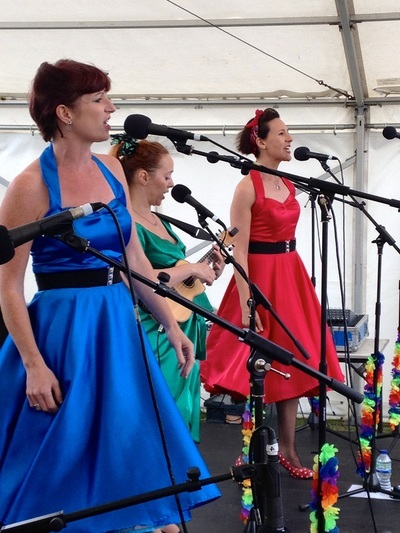 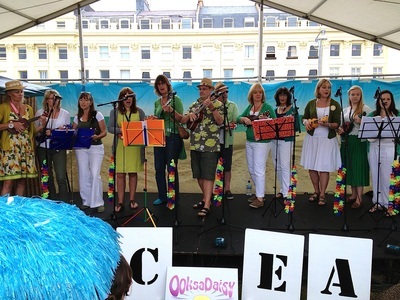 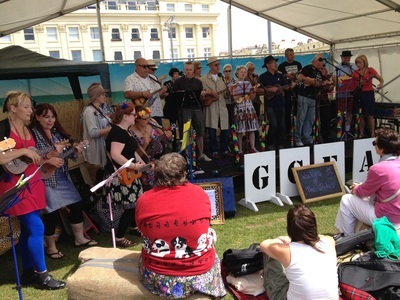 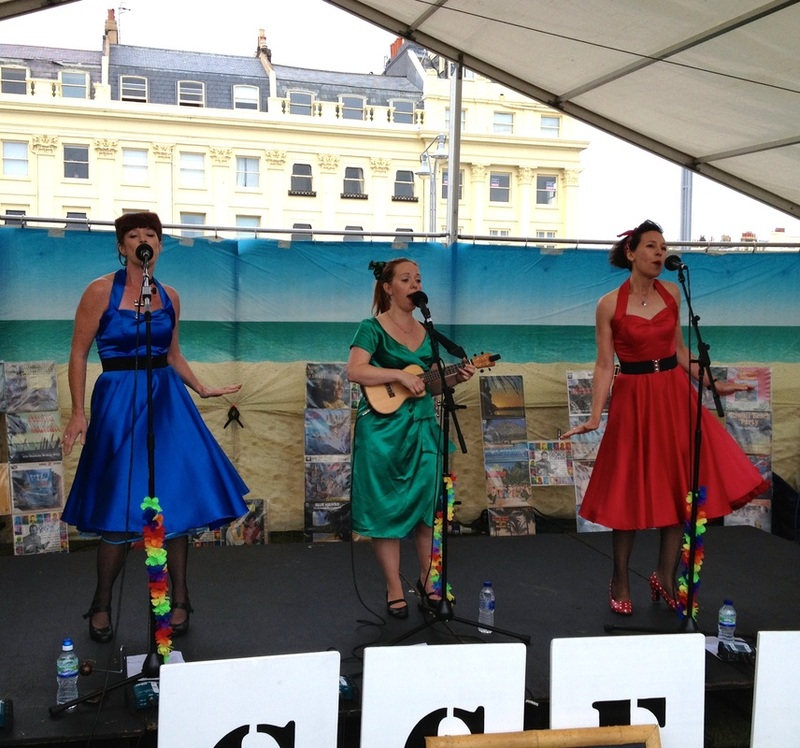 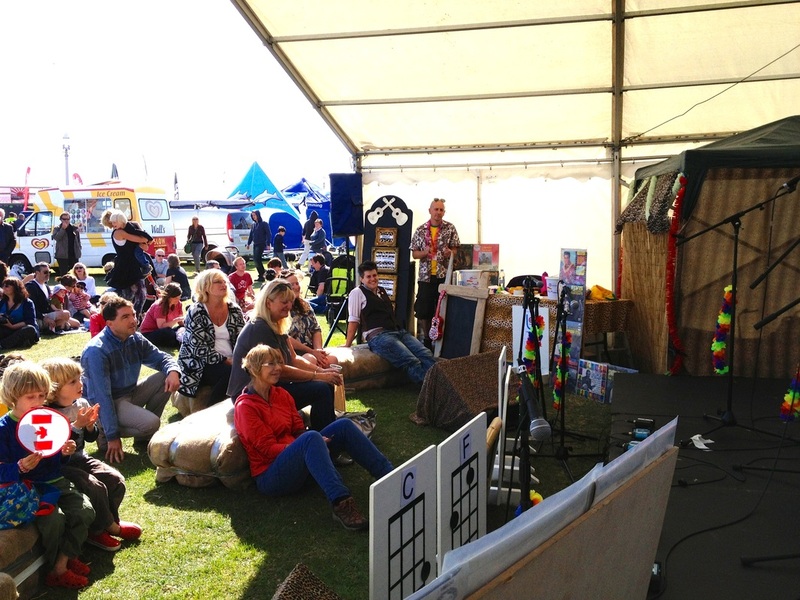 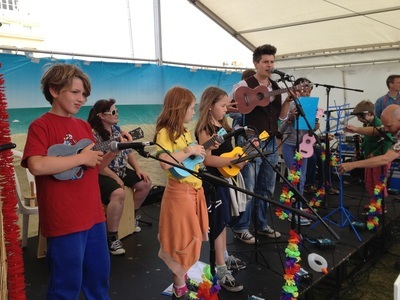 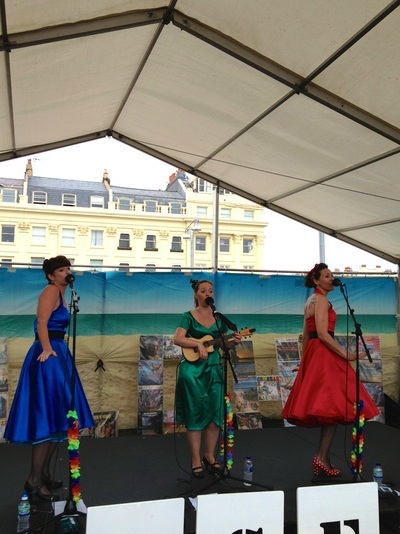 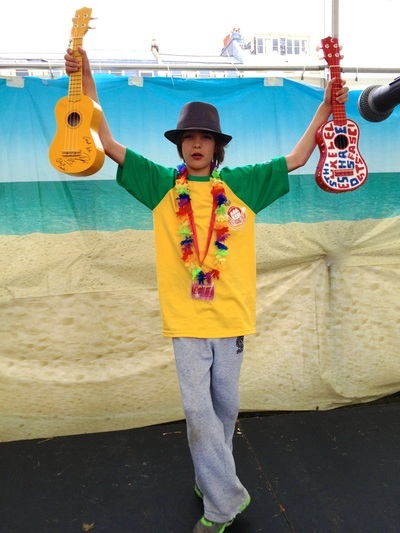 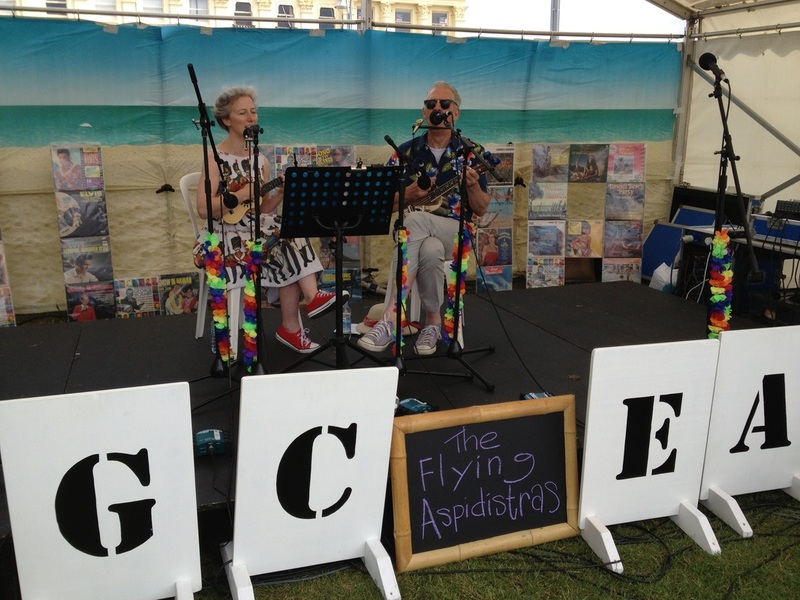 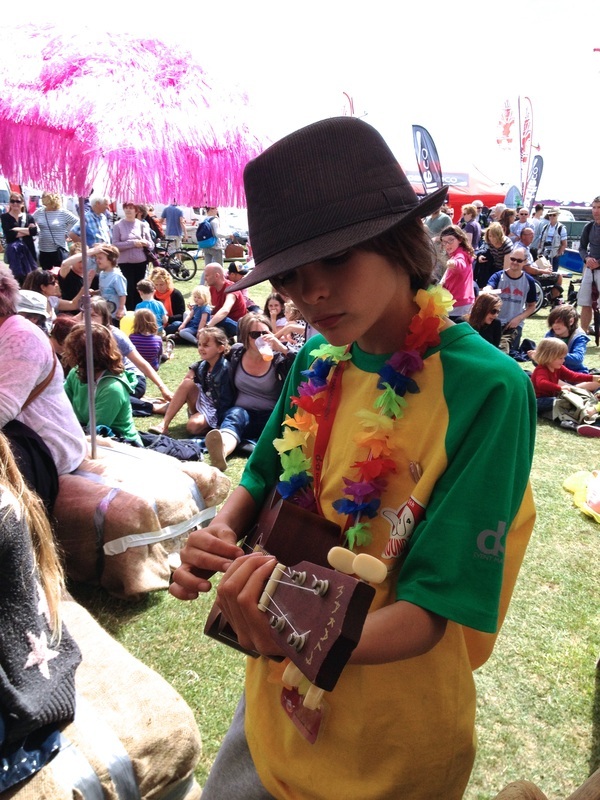 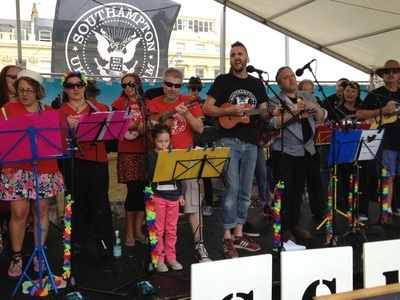 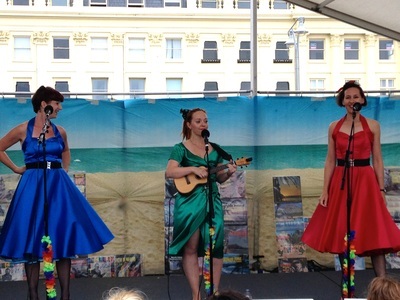 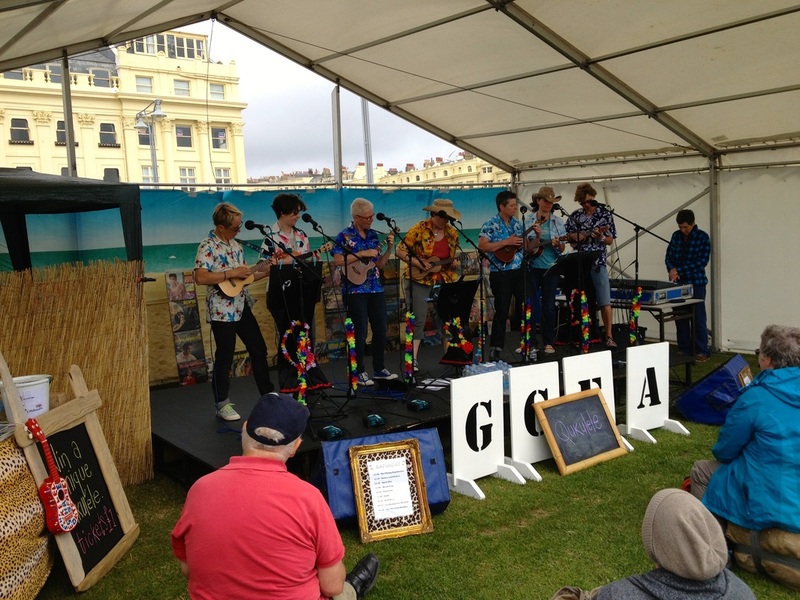 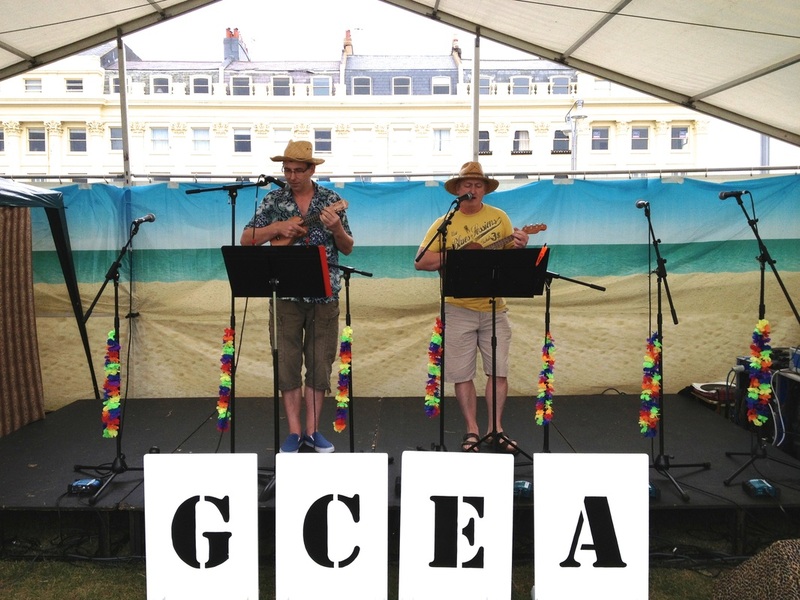 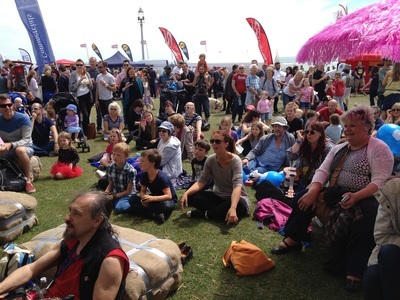 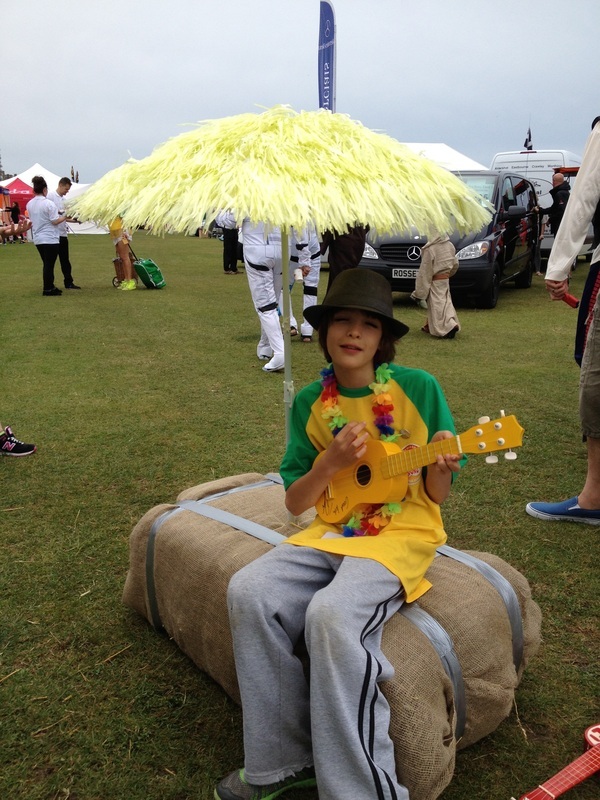 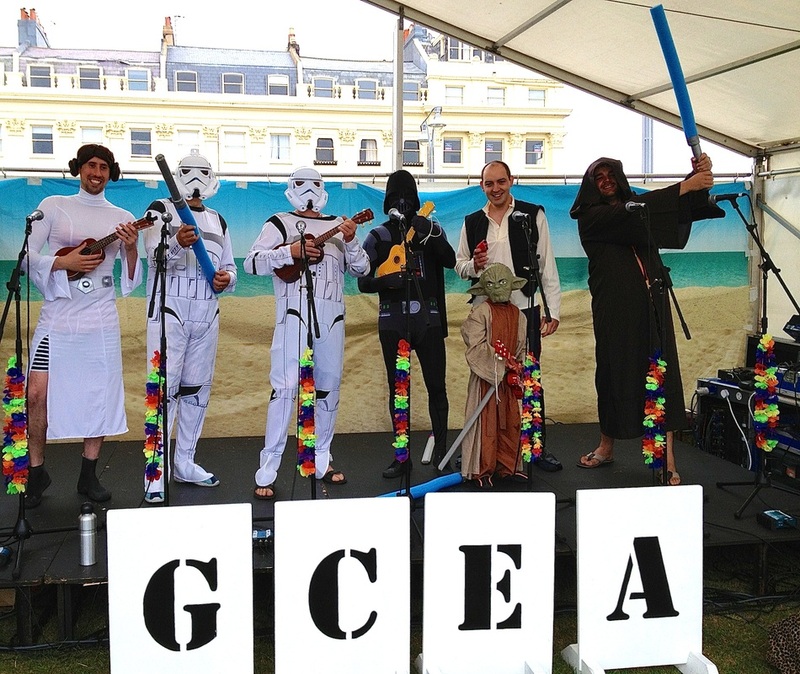 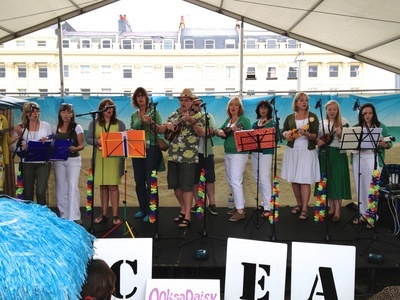 From 3 chord jams to big bands, the Paddle Ukulele Stage presented the best most friendliest and entertaining line up of South East ukulele talent. 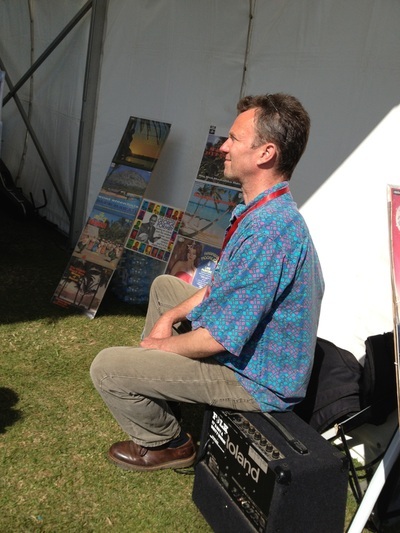 Ucanukulele ran a stage at the prestigious Great Northern Ukulele Festival in 2017. 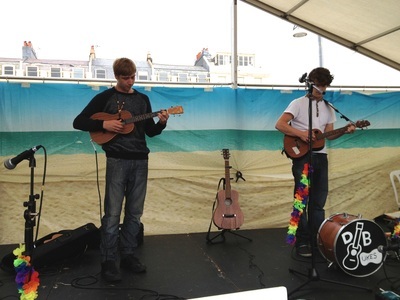 More pics to come. 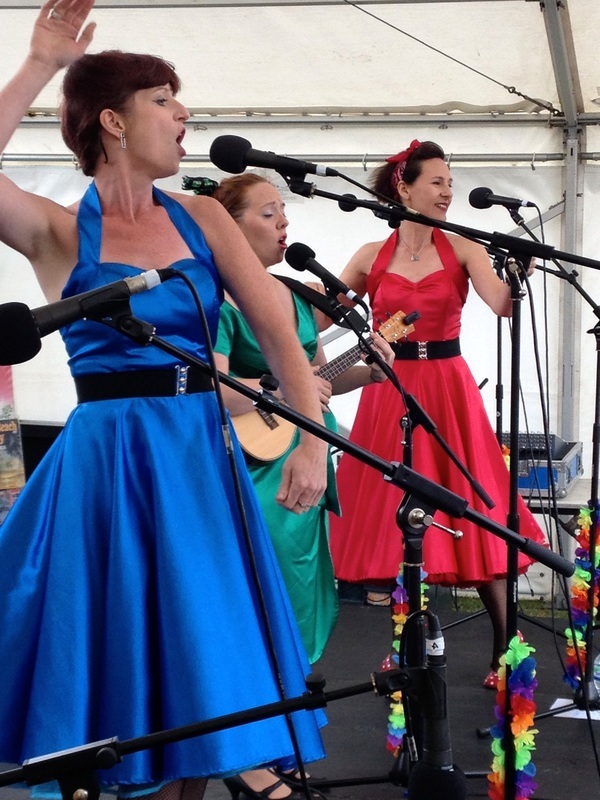 We've been invited back for 2018. 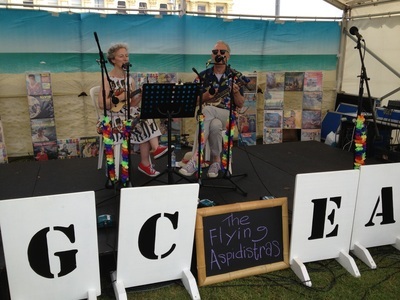 Thanks Mary Agnes & Co.
tunes. 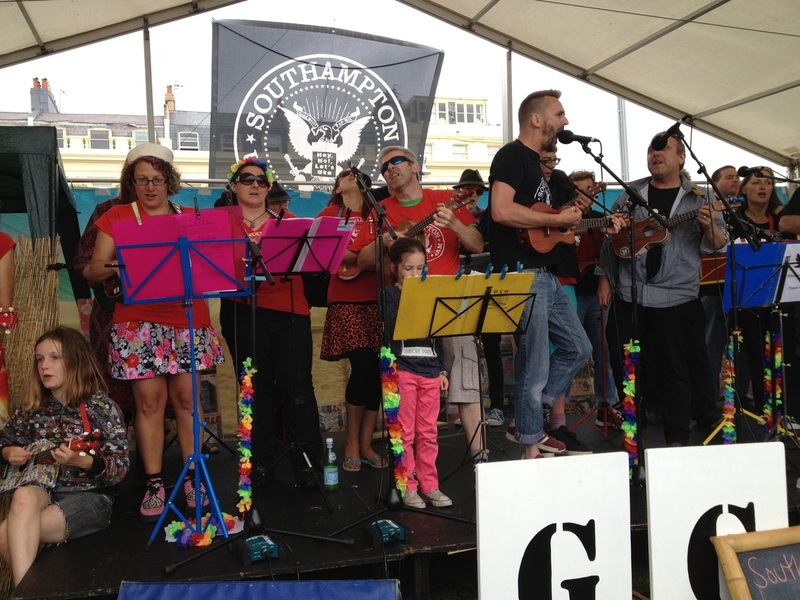 I sing for everyone…. 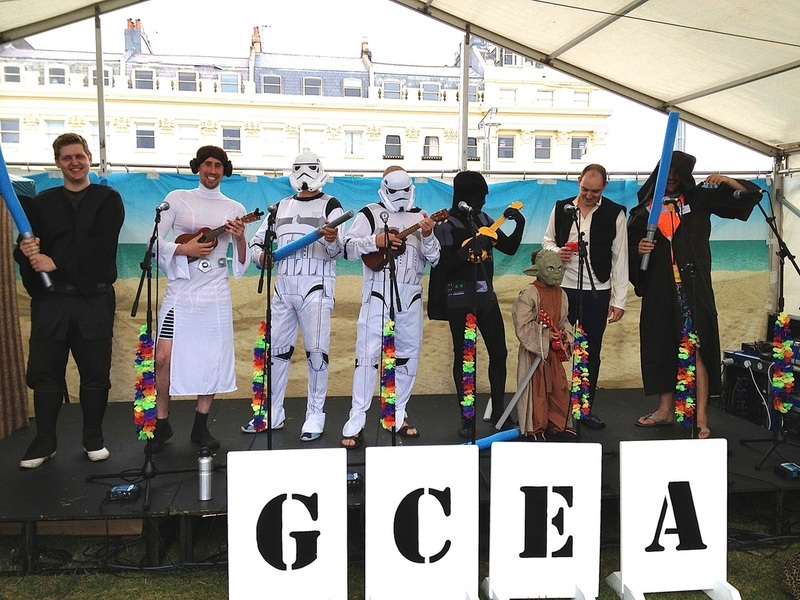 the young, the old, the brave and bold. 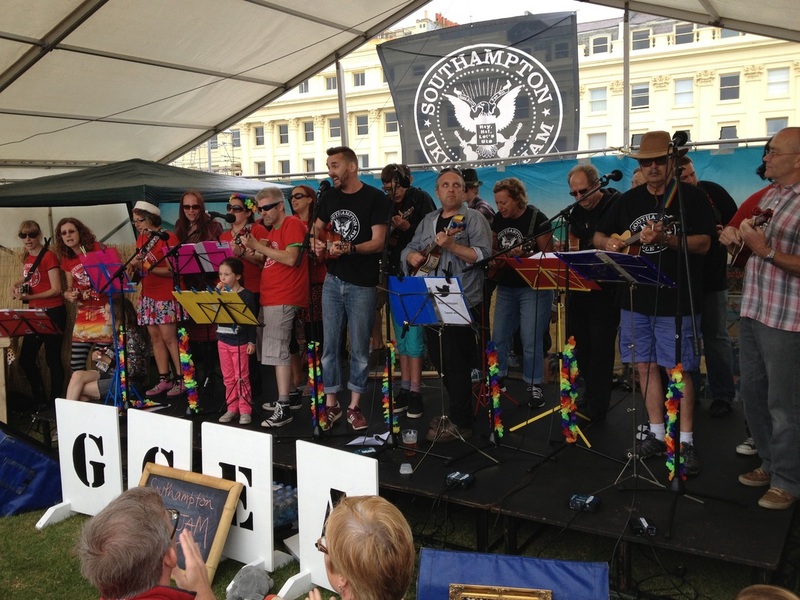 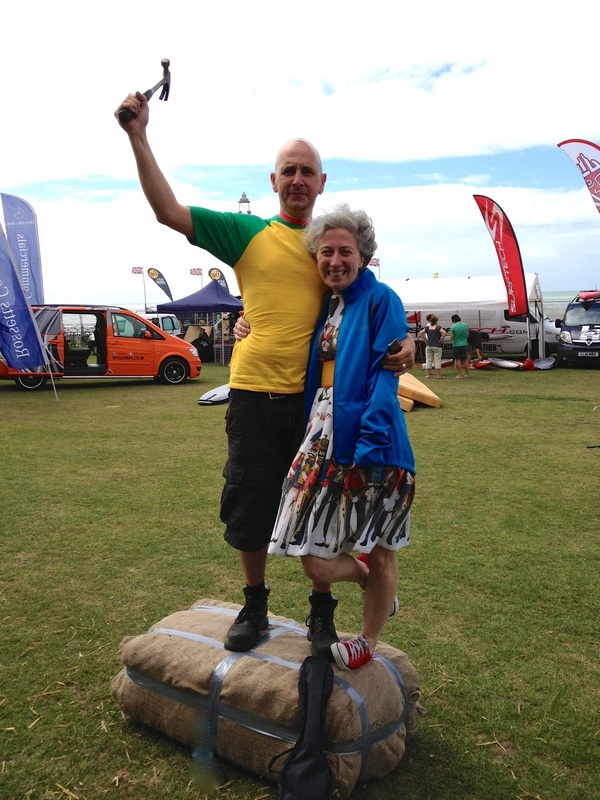 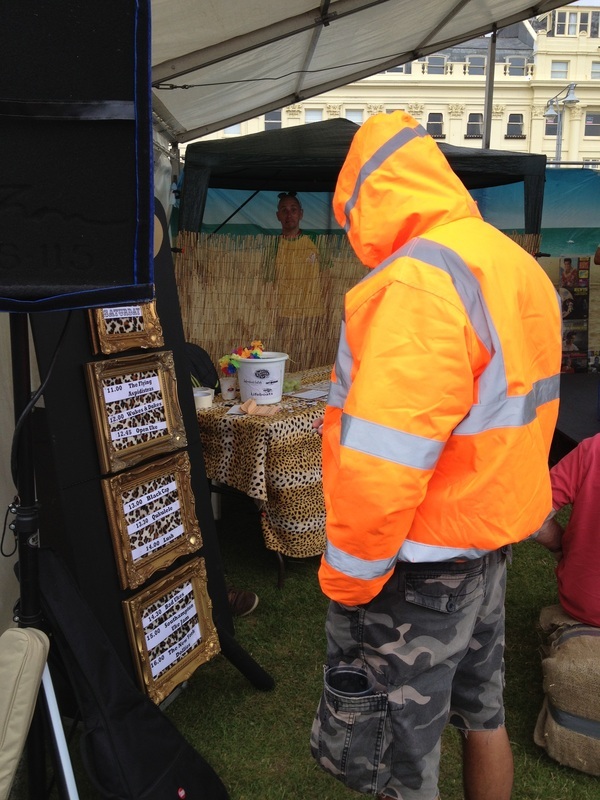 Last year the Southampton Ukulele Jan took the stage by storm. Loads of energy, Loads of Laughs, Loads of Fun and brilliant playing - they are uking brilliant!! 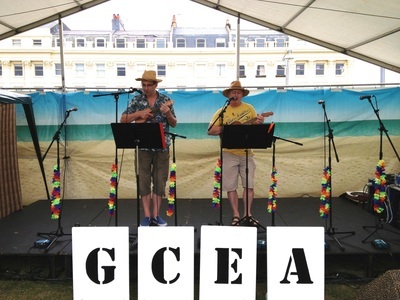 keeps them giggling” : The Latest Review.